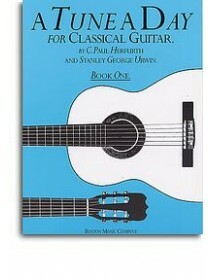 C. Paul Herfurth. 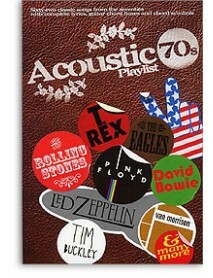 Concentrates on the acquisition of a thorough, musical background and a soli.. 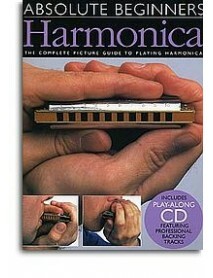 The Absolute Beginners course has been designed to tell you everything you need to know from ..
Learning to play harmonica is now easier than ever before! 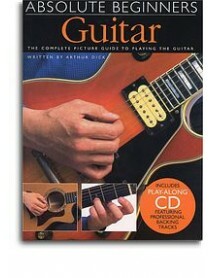 The Absolute Beginners course.. 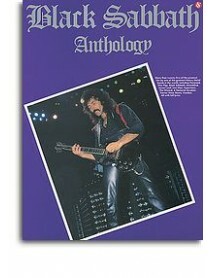 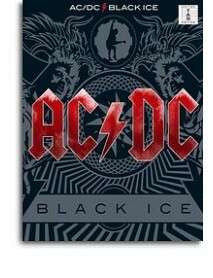 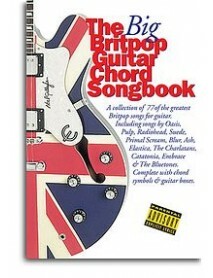 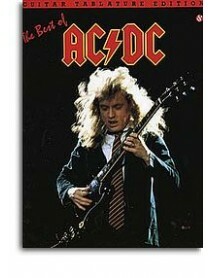 Contains all the Aussie rocker's hit songs such as Back in Black, Hells Bells, Highway To Hell.. 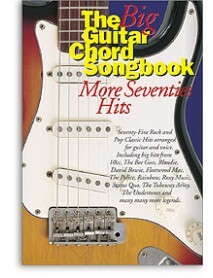 Guitar tab for the current AC/DC album ..
Re-live the days of freedom and revolution with this groovy collection of 59 unforgettable gr..
Re-live the days of glam and invention with this rockin' collection of 62 unforgettable great..
From the legendary Belfast Cowboy, Van Morrison, to Ireland's most successful sons, U2, Irela..
Now you can play eighty-five rock and pop classics from the hey-day of guitar music and the e..
A massive collection containing the best music from the 1980s presented in chord songbook for..
Now you can play all your favourite songs from the Nineties with this Big Guitar Chord Songboo..
Alt.Country is the popular label given to a range of bands and artists inspired by classic co..
A collection of 86 classic blues songs from the 20s through to the present day, featuring piv.. 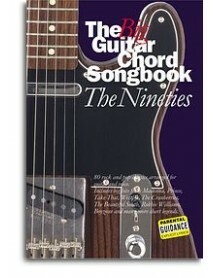 Lyrics and chords to seventy-seven classic nineties indie guitar hits. 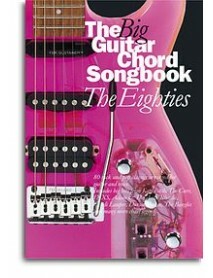 Specially arranged fro.. 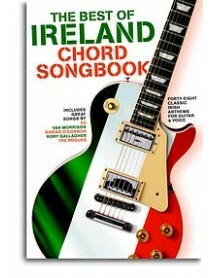 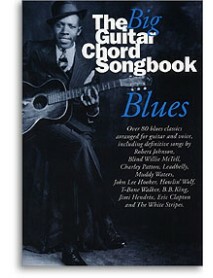 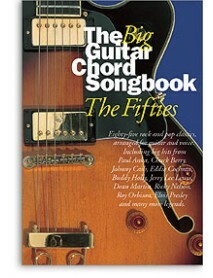 Learn to play eighty classic songs from the 60s and 70s. 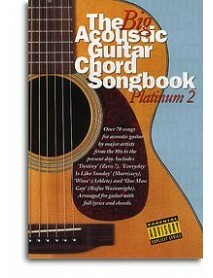 Complete with full lyrics, guitar ch.. 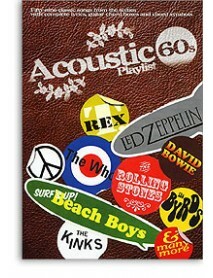 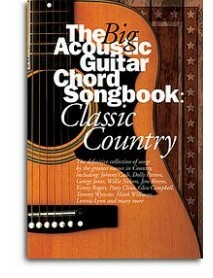 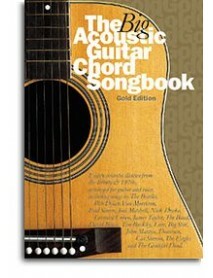 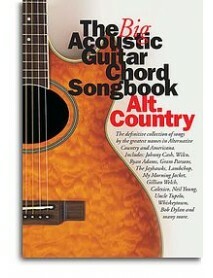 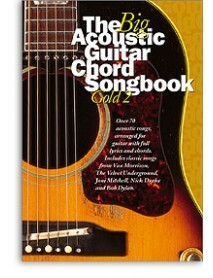 The Big Acoustic Guitar Chord Songbook - Gold 2 edition is a second collection of Gold hits w..
Another bumper selection of funky classics from the era of Glam and Punk, with seventy-five s..
A second spectacular platinum collection of more than seventy Acoustic songs from the 1980's ..
Ninety songs arranged for acoustic guitar, including full lyrics, chord symbols, guitar boxes ..
songs include Paranoid, Sabbath Bloody Sabbath, War Pigs, Iron Man and over 20 more titles ..